Yambol (Bulgarian: Ямбол) is a city in southeastern Bulgaria and administrative centre of Yambol Province. It lies on both banks of the Tundzha river in the historical region of Thrace. It is occasionally spelled Jambol. The administrative centres of two municipalities are situated in Yambol. One is of the rural area of Tundzha Municipality and the other is of the homonymous Yambol Municipality that embraces the city itself. Yambol Peak on Livingston Island in the South Shetland Islands, Antarctica is named after Yambol. The surrounding area has been inhabited since the Neolithic and was the location of the ancient Thracian royal city of Kabyle. It was founded or refounded by Philip II of Macedon as an Ancient Greek polis. Yambol was founded by Roman Emperor Diocletian in AD 293; though it was named Diospolis (Διόςπόλις in Greek 'city of Zeus'), the name also reflected the emperor's name. The name later evolved through Diampolis (Διάμπόλις), Hiambouli (Ηιάμβόυλι; in Byzantine chronicles), Dinibouli (دنبلي; Arabic chronicles), Dbilin (Дбилин; in Bulgarian inscriptions), and Diamboli (Диамбоюли) to become Yambol. It was destroyed by the Avars in 583. As the Slavs and Bulgars arrived in the Balkans in the Middle Ages, the fortress was contested by the First Bulgarian Empire and the Eastern Roman Empire, becoming part of Bulgaria in 705 AD during the reign of Khan Tervel. It has been an important Bulgarian center ever since. 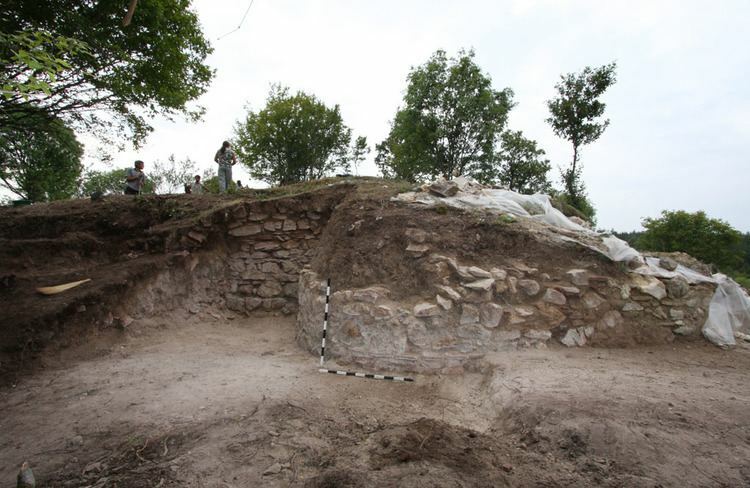 The town expanded during the reign of Khan Omurtag of the First Bulgarian Empire and a new fortress was built. Its significance as near the border point made it an important center for both trade and military purposes. During the reign of Boris I and Tsar Simeon the first literary centers were established, mostly as part of the church. Books were imported from Preslav and Ohrid literary schools and they were studied in the town's churches. During the reign of Tsar Kaloyan, the town again raised in importance, manly due to the ongoing conflict between Bulgaria and the Crusaders. A major battle between Tsar Kaloyan and the crusaders happened in 1204, about 80 kilometers south-west of the town, where Bulgaria defeated the crusaders in the battle of Adrianopole on 14 April 1205. During the Ottoman period the town had a very large Muslim population as well. Ottomans conquered it in 1373, but a militarized semi-independent Bulgarian population remained as voyinuks in the southern part of the city. It was renamed as "Yanbolu". 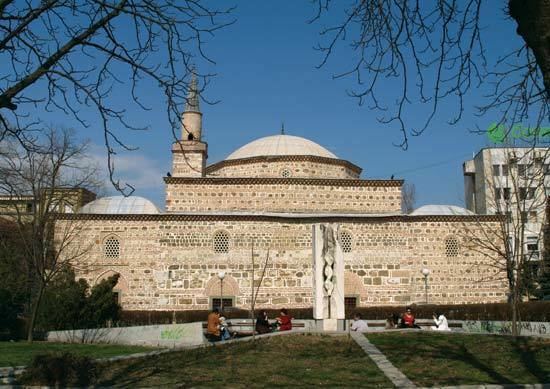 It was kaza center, which was bounded to successively Çirmen Sanjak (Its center was Edirne) of Rumelia Eyalet (1364–1420), Silistre Sanjak of Rumelia Eyalet (1420-1593), Silistre Sanjak of Silistre Eyalet (1593–1830), İslimye Sanjak of Edirne Vilayet (1830-1878), and İslimye Sanjak of Eastern Rumelia Province before joining to Principality of Bulgaria in 1885. The predominant religion is Orthodox Christianity with a number of churches being present (among them one of the Holy Trinity, one of St George; the largest one is the cathedral of St Nicholas) erected in 1888; there also exist Eastern Rite Catholic and Protestant religious buildings. In modern times Yambol, was a center of the Yambol okolia since 1878, then Yambol okrug since 1948. In 1984 it became part of the newly formed Burgas Oblast where it remained for 10 years. Since the early 1990s Yambol is the center of Yambol oblast. During the Balkan War, Yambol was the headquarters of First Bulgarian Army, which played a vital role in the defeat of the Turks in Trace. The city was affected by the turmoils of the early 20th century. I Some Bulgarian refugees from East Thrace, attacked by the Turkish Army in The Destruction of Thracian Bulgarians in 1913, settled in the town. Its Greek population (around 20 families) left during the exchange of populations. It also hosted Bulgarian Macedonian refugees from the failed 1903 Ilinden Uprising. During World War I, Yambol hosted a base for Luftstreitkräfte (Imperial German Army Air Service) zeppelins used for missions in Romania, Russia, Sudan and Malta. The town was chosen by the Germans due to its favorable location and weather conditions. In the early 21st century, the city became the first one in Bulgaria to use natural gas for domestic purposes. The population of Yambol during the first decade after the liberation of Bulgaria exceeded 10,000, being 11,241 in 1887. Since then it started growing decade by decade, mostly because of the migrants from the rural areas and the surrounding smaller towns, reaching its peak in the period 1985-1992 exceeding 90,000. After this time, the population has started decreasing rapidly in consequence of the poor economic situation in the Bulgarian provinces during the 1990s that led to a new migration in the direction of the country capital Sofia and abroad. As of February 2011, the city has a population of 74,132 inhabitants, while along with Tundzha Municipality, of which the city is administrative center, the population is 98,287. Local industry has declined since the 1990s with many factories closing down. The city is the centre to its thriving agricultural surroundings. 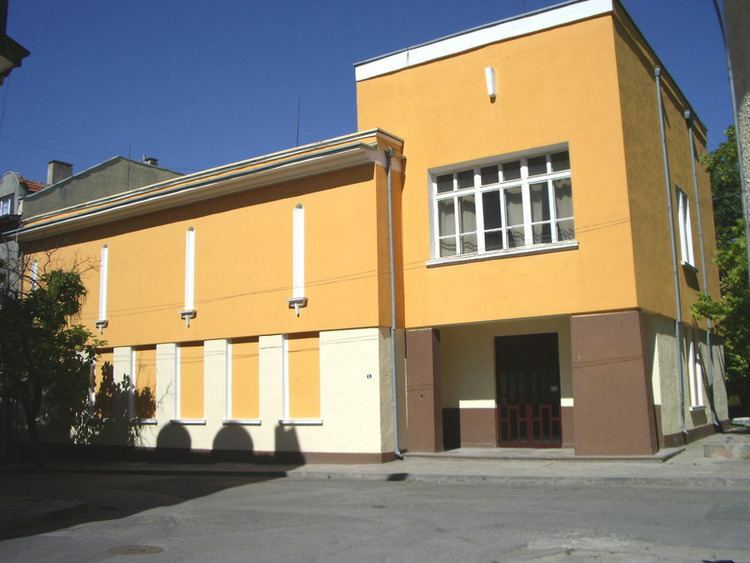 Yambol houses the Regional History Museum and has a military museum, the Battle Glory Museum. 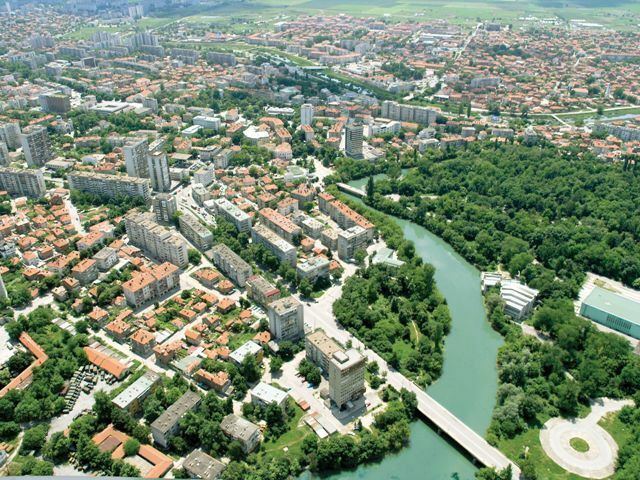 The most popular sport in the city is Basketball with Yambol being a champion in 2002.